Application of environmental protection metal coating in Industry _ news _ Xinxiang Chui Auto Parts Co., Ltd. Many peopleEnvironmental protection Metal CoatingAlready have a certain understanding, the following is a brief introduction of environmental protection metal coating in the design of automotive manufacturing machine applications. Environmentally friendly metal coating with high corrosion resistance, high heat resistance, hydrogen embrittlement and other advantages, in many industrial sectors including the automotive industry, has been applied to the technology, and clearly stipulates that certain parts can only use the metal coating of Rockwell. Environmental protection Metal coating is also used in cast iron, powder metallurgy materials, aluminum alloy and other parts of the surface anti-corrosion treatment. The application of Dacromet technology greatly prolongs the service life of automobiles. 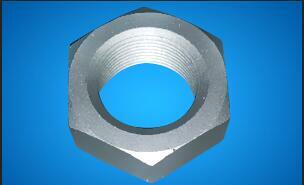 4, high corrosion resistance and high weather resistant parts of the anti-corrosion. The Dacromet coating is an inorganic coating that contains no organic polymers, thus not subject to petrol, brake oil, oil, lubricants and other chemical agents, with excellent chemical resistance to the performance of Rockwell coating, the application of Rockwell coating in automotive manufacturing and design so the Rockwell coating is particularly suitable for door locks, exhaust system parts, Chassis parts, as well as automotive external components such as high corrosion resistance and high weather resistance of parts anti-corrosion.